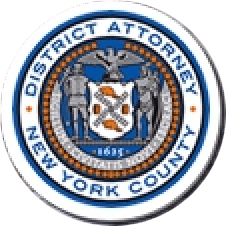 Manhattan District Attorney Cyrus R. Vance, Jr., today announced the sentencing of RICHARD DOREN, 51, to 5-to-15 years in state prison for stealing more than $1.7 million from a tax client and the estates of two deceased clients of an accounting practice that he initially worked for and later managed. On June 1, 2017, DOREN pleaded guilty in New York State Supreme Court to the top counts he faced, two counts of Grand Larceny in the Second Degree for stealing more than $1.1 million dollars from the estates of two women who fled Nazi Germany shortly before World War II. On September 12, 2017, DOREN pleaded guilty to an additional count of Grand Larceny in the Second Degree, for stealing more than $579,000 from a client of his accounting practice. As part of the sentence, the Judge also executed judgment orders in favor of the victims, holding DOREN liable to re-pay more than $1.7 million in stolen funds. As admitted in the defendant’s guilty plea and in court documents, DOREN was employed by a certified public accountant for approximately twenty years. More than ten years ago, the accountant began to suffer from a number of health problems, and began to delegate additional responsibilities to DOREN. Eventually, the accountant retired and left the practice to DOREN, who falsely claimed to be an attorney. One of DOREN’s responsibilities was the administration of the estates of two women. In each case, the decedent died without children and had family members who had perished in the Holocaust, requiring an extensive international genealogical search to locate next-of-kin. From October 2009 to January 2015, DOREN made regular unauthorized withdrawals from the first of these estate accounts, stealing more than $695,000. DOREN used the money to pay off his and his wife’s credit card bills, and to pay off a mortgage in his wife’s name. Beginning in June 2013 and continuing through December 2015, DOREN stole money from the second of these estate accounts, stealing more than $445,000 to pay off his credit card bills. On May 18, 2016, DOREN was arraigned on a New York State Supreme Court indictment charging him with the alleged thefts. After DOREN’s guilty plea on June 1, 2017, to two counts of Grand Larceny in the Second Degree, the District Attorney’s Office learned that DOREN had stolen from one of the clients of his accounting practice. On multiple occasions between April 2016 and May 2017, DOREN claimed that he had advanced money to taxing authorities on the client’s behalf, and asked the client to reimburse him for more than $579,000. In reality, DOREN did not make any of the requested tax payments on the client’s behalf, and simply pocketed the money. Assistant District Attorneys Catherine McCaw and Peter Rienzi handled the prosecution of this case, under the supervision of Assistant District Attorneys Gloria Garcia and Anne Ternes, Deputy Chiefs of the Financial Frauds Bureau, Archana Rao, Chief of the Financial Frauds Bureau, and Executive Assistant District Attorney Michael Sachs, Chief of the Investigation Division. Assistant District Attorneys Catherine Christian, Chief of the Elder Abuse Unit, and Raymond Castello, Counsel to the Investigation Division, Elder Abuse Program Coordinator Melanie Chan, and Paralegals Marissa Volpe, Anna Vaynman, and Julien Tunney also assisted with the cases. Former Senior Financial Investigator Daniel McNichol and Principal Financial Investigator Robert Pomeroy of the Forensic Accounting and Financial Investigations (“FAFI”) Bureau provided support under the supervision of Irene Serrapica, Deputy Chief of FAFI, and Robert Demarest, Chief of FAFI. District Attorney Vance thanked Detective Jackson Todd of the NYPD’s Financial Crimes Task Force, Special Frauds Squad, Detective Sergio Merino of the NYPD’s 20th Precinct Detective Squad, Forensic Tax Auditor Elias Del Rosario of the New York State Department of Taxation and Finance, Maureen Kokeas and Gary Wong of the New York City Department of Finance, and JPMorgan Chase for their assistance with the case.